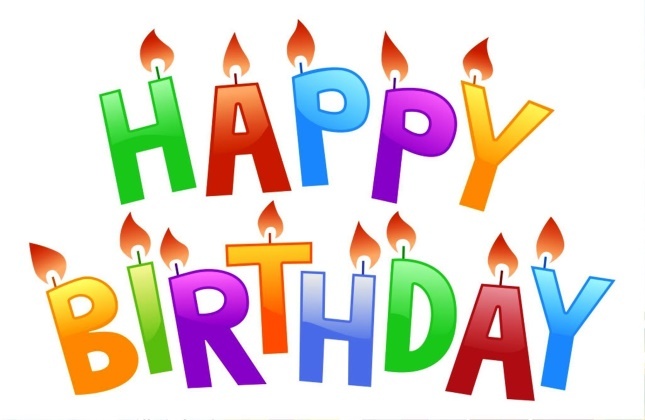 Today, February 4, Caton Communications Group celebrates our 16th year of being in business, bringing state of the art low voltage cabling to the Mid Atlantic area. In the past year we’ve successfully completed several jobs, added new team members to our team, and have been awarded many certifications and contracts. We thank you for growing with us and our one birthday wish is for you to continue to prosper with us. Ross Goldman, executive vice president and general manager of Leviton Network Solutions, added, “We are excited to announce the new Atlas X-1 system has been confirmed by a third party to achieve Category 8 performance. 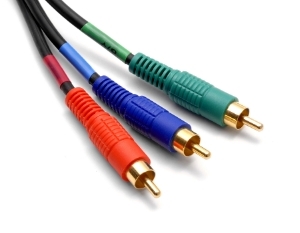 The unique, all-new Atlas X-1 connector platform gives the installer a consistent termination method across the board, from Category 8 to Category 5e for shielded and from Category 6A to Category 5e for UTP installations. The Atlas-X1 Category 8 connectivity will be part of the Berk-Tek Leviton Technologies Category 8 structured cabling system, Leviton added. “The U.S.-made system uses pre-production Category 8 cable from Berk-Tek, supports a 30-meter channel, and has been independently tested to achieve Category 8 performance,” Leviton said. Pennwell Corporation. Leviton announces Intertek-confirmed Category 8 connectivity system. 2 February 2015. 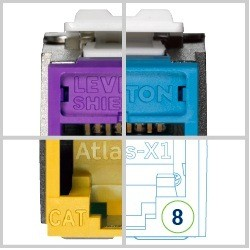 3 February 2015 <http://www.cablinginstall.com/articles/2015/02/leviton-atlas-x1-category-8-connectivity.html?cmpid=EnlDataCentersFebruary32015>. 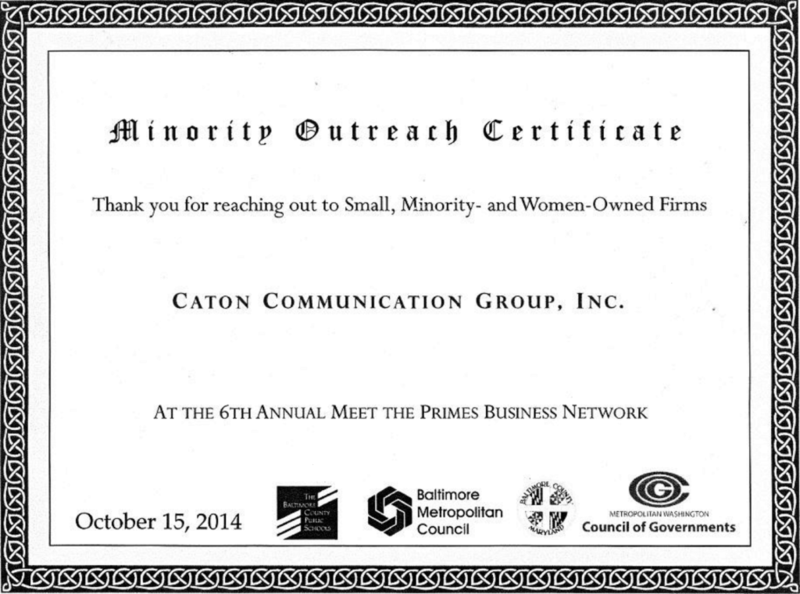 On October 15, 2014 Caton Communications Group was awarded the Minority Outreach Certificate which recognizes the connection CCG has made with various small, minority, and women-owned firms over the years. This certificate is observed by Baltimore County Public Schools, Baltimore Metropolitan Council, Baltimore County Maryland, and Metropolitan Washington Council of Governments. Data Center Cooling to See Growth – The third edition of the IHS Data Center Cooling study features a new analysis of the liquid cooling market. 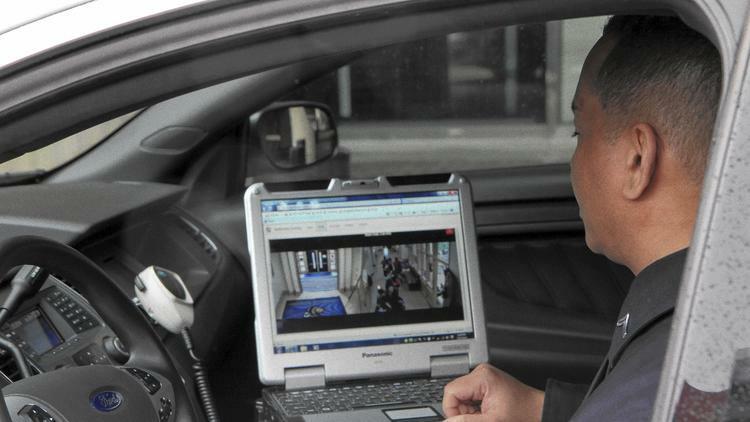 It also forecasts that the market will grow and hit $2.3 billion in 2014.